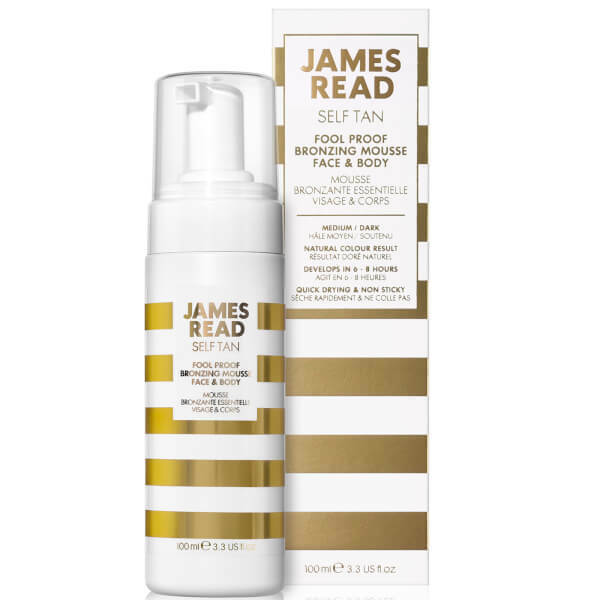 Achieve a deep golden glow without exposing skin to harmful rays with the Foolproof Bronzing Face and Body Mousse from James Read; a fast-drying, tinted, self-tan formula that develops a natural-looking, streak-free tan in 3-5 hours. Enriched with opulent skincare ingredients to promote firmer, more youthful-looking skin, the formula incorporates the moisturising benefits of Aloe Vera and the brand’s proprietary 72hr Hydration Technology™, along with the soothing, oil-absorbing properties of Cucumber. TanTone Technology™ ensures the most natural result for your skintone. 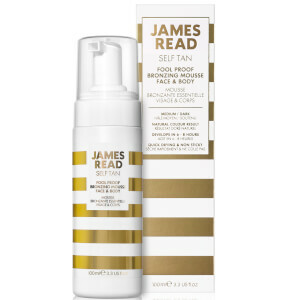 Infused with a lush fragrance of Mandarin and Neroli, the lightweight, aerated mousse envelops skin with a radiant glow that lasts up to a week.